We have a lot of great transportation partners around the state. From cities, to counties, to transit agencies, to bicycle clubs, to law enforcement – dozens of agencies and hundreds of people are working to help keep everyone moving and safe while they’re on the go. We just had the chance to work with the City of Ferndale, a city of about 12,000 people in Whatcom County, north of Bellingham, to address an increase in afternoon congestion on the northbound I-5 exit 263 off ramp at Portal Way. City engineers came up with a great practical solution for the area. Previously the traffic exiting I-5 had to stop at Portal Way and in the afternoon, as traffic volumes increased, it was tough for drivers to find a gap in that traffic to make turns. Sometimes drivers would make risky turns or if they waited for a gap, traffic would quickly back up behind them, creating the risk for high-speed rear end crashes. This intersection is where a state highway and city street combine. 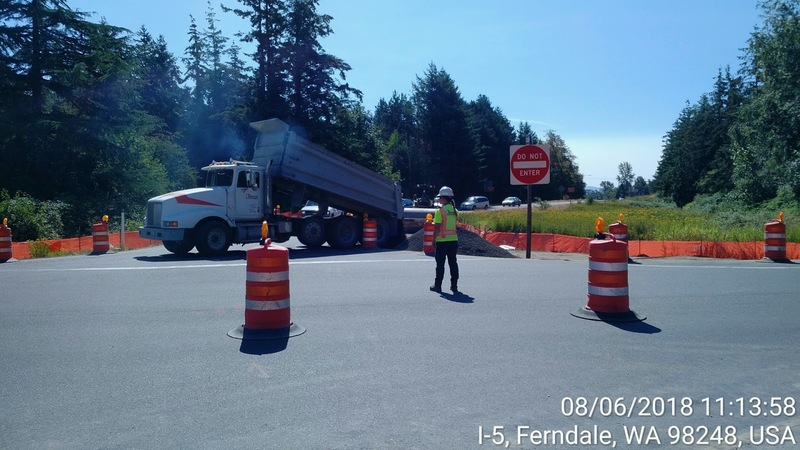 While often the state will secure funding or lead the efforts for improvements that include a state highway, in this case, City of Ferndale was able to get funding and move this project forward faster than we would’ve been able to – helping to get these safety improvements in place faster! City engineers got to work looking for a safe solution and they quickly landed on a compact roundabout with an estimated cost of $330,000. Roundabouts reduce conflict points, improving safety and reducing commute times as travelers just slow and yield instead of stopping. Roundabouts at interchanges work well in this area, as you can see in this Federal Highway Administration video highlighting roundabouts on I-5 and Slater Road. 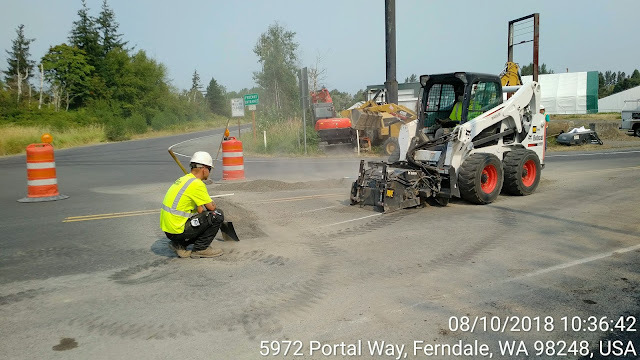 The city’s contractor crews from Colacurcio Brothers started working on this intersection on Monday, July 30 and before the end of the day on Friday, Aug. 10, crews had finished striping and reopened this intersection as a four-leg compact roundabout. 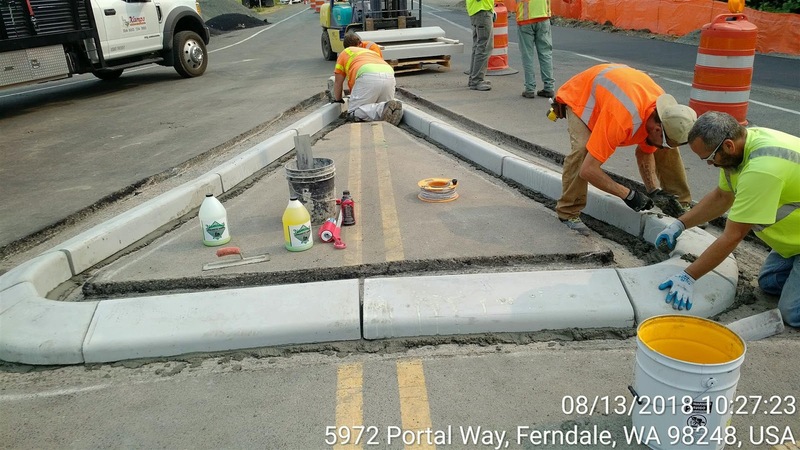 Thanks to the City of Ferndale and their design consultant Reichhardt & Ebe Engineering for this great solution to relieving congestion and improving safety in this area and to the construction contractor for getting it done ahead of schedule and within budget. 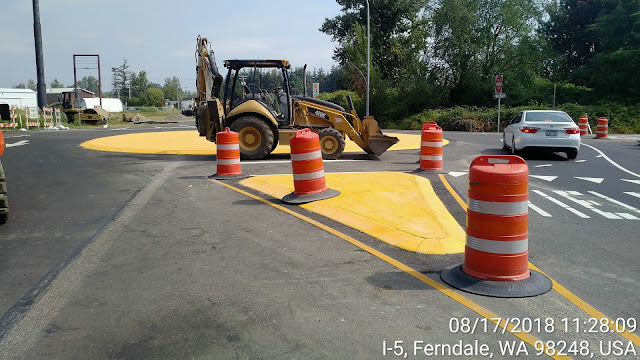 Anyone using this intersection for the first time should remember to pay attention to signs and yield to traffic to the left, but if you have additional questions on navigating roundabouts you can scan our recent roundabout blog.